Beyonce: "I've only parted ways with my father on a business level"
Los Angeles (CNN) -- R&B superstar Beyonce Knowles has parted ways with her father as her manager, with both sides claiming it was amicable. "I've only parted ways with my father on a business level," Beyonce said in a statement Monday. "He is my father for life and I love my dad dearly. I am grateful for everything he has taught me." Matthew Knowles had managed his daughter's career from her start in the multi-platinum selling trio, Destiny's Child, in the late 1990s through her phenomenal success as a solo artist: three blockbuster solo CDs, 16 Grammy awards and appearances in well-received movies, such as "Dreamgirls." "The decision for Beyonce and Music World Entertainment to part was mutual," Matthew Knowles said. "We did great things together, and I know that she will continue to conquer new territories in music and entertainment." He said his record label will focus on its roster of artists in the gospel and inspirational genre. 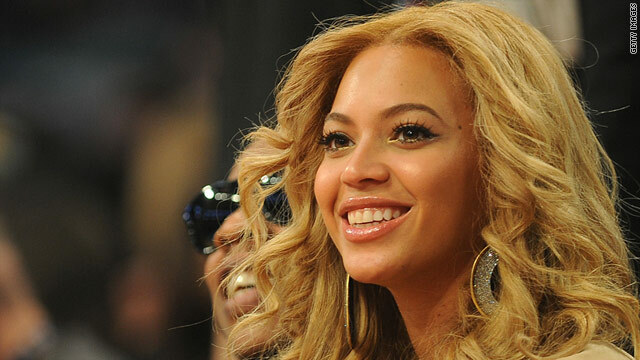 It was not immediately known who will take over management duties for Beyonce. "Business is business and family is family," Matthew Knowles said. "I love my daughter and am very proud of who she is and all that she has achieved. I look forward to her continued great success." Beyonce's mother, Tina, is also heavily involved in her daughter's career and works as her stylist. In early 2000, the two launched a clothing line, House of Dereon -- named after Beyonce's grandmother. "I grew up watching both he and my mother manage and own their own businesses," Beyonce said, about her father. "They were hard-working entrepreneurs and I will continue to follow in their footsteps."